“FREE TIME, OUR STORIES “, A REPORT IN ORAL HISTORY JOURNAL , SPRING 2014 . THE ARTS AND EDUCATIONAL CHARITY digital : works HAS RECIEVED A GRANT FROM THE HERITAGE LOTTERY FUND TO EXAMINE HOW PEOPLE`S LEISURE ACTIVITIES HAVE CHANGED OVER THE LAST 60 YEARS . “FREE TIME ,OUR STORIES “WILL ENABLE YOUNG PEOPLE TO COLLABORATE ON AND SHARE WITH THE OLDER POPULATION A RANGE OF ACTIVITIES LEADING UP TO A FINAL EXHIBITION ,A WEBSITE , THE PRODUCTION OF AN APP AND THE CREATION OF A NEW ARCHIVE . THE PROJECT WILL WORK WITH DORSET COUNTY MUSEUM AND THE DORSET HISTORY CENTRE ,AS WELL AS LOCAL SCHOOLS AND ORGANISATIONS FOR OLDER PEOPLE ,INCLUDING THOMAS HARDYE SCHOOL , AGE UK ,DORSET AND DORCHESTER PARTNERSHIP OLDER PEOPLE (POPP) ,IT HOPES TO FORGE NEW RELATIONSHIPS BETWEEN YOUNG PEOPLE ,THEIR SCHOOLS AND THE LOCAL COMMUNITIES , THE ARCHIVE MATERIAL WILL BE STORED AT DORSET HISTORY CENTRE . 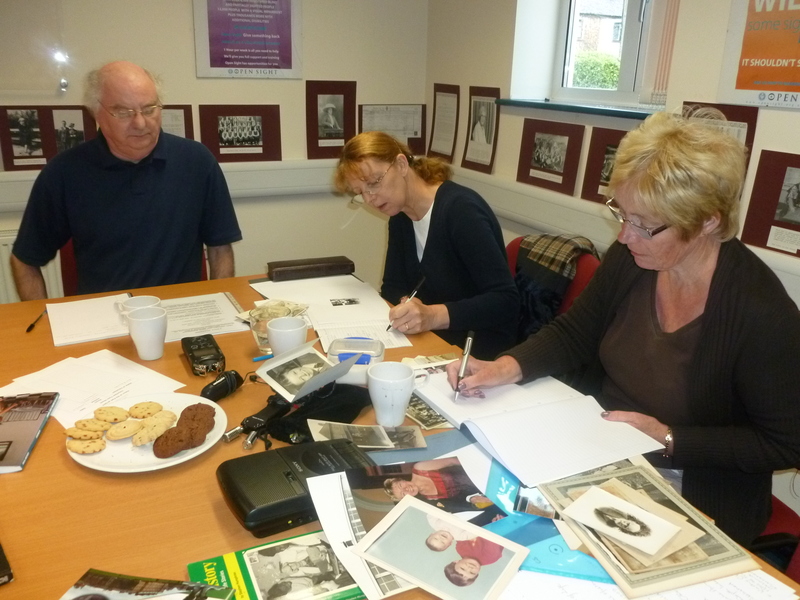 WHY NOT START AN ORAL HISTORY PROJECT IN YOUR AREA , ALL MEMBERS OF THE COMMUNITY CAN JOIN IN AND ACHIEVE AN ORIGINAL PIECE OF LIVING HISTORY FROM EYE WITNESS ACCOUNTS. PAT CARTER ORAL HISTORIAN . 17TH JULY 2014 . 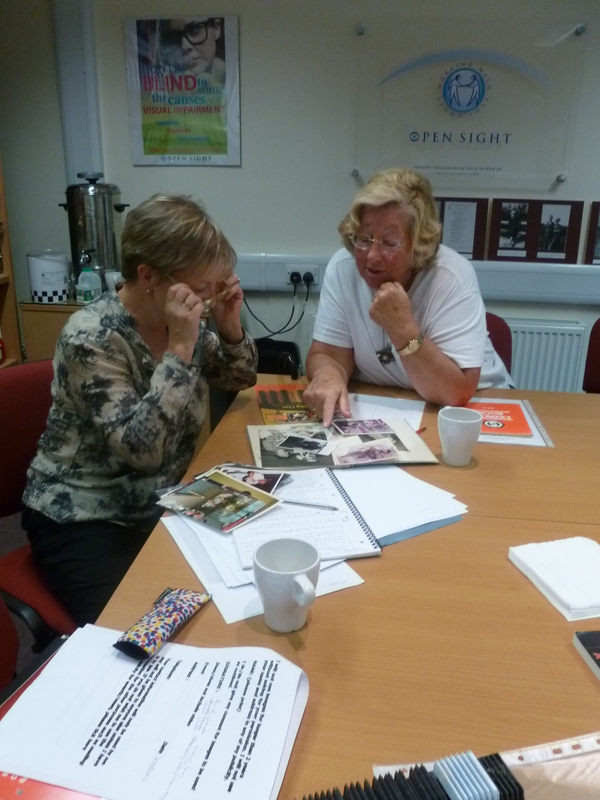 An Oral History and Arts training workshop has been undertaken with Pat Carter for the Open Sight organisation that works with blind and partially sighted people at Eastleigh, in Hampshire. Pat Carter was the tutor on the Oral History and Arts training workshop held on the 29th August 2012, for staff who will be interviewing people on a huge project to document the history of the charity and the people that Open Sight have supported.The staff included those from Open Sight and the local museum. 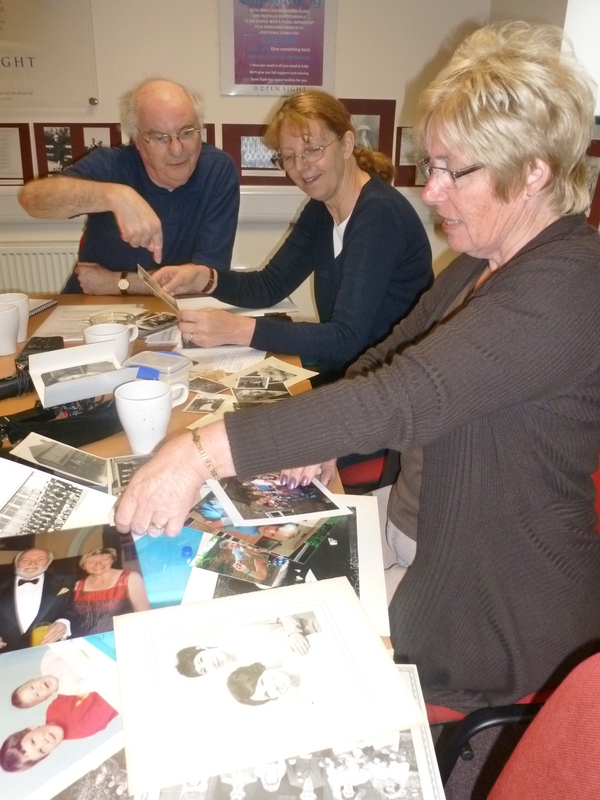 The project named Vision of the Past will include recorded first hand accounts of Hampshire residents who have lost their sight since the 1920s .It is supported by the Heritage Lottery Fund. The organisers will be able to track the changes in attitudes to disability and advances in technology .Key to this will be evidence of many people who were ,and are ,determined to remain active members of society despite their impairments .A book , C.D. film , and a website will be completed. The training workshop for the staff included ; what oral history and arts is and how to undertake it , copyright and interviewing , photography , documents ,and what can be produced .This workshop is informative and practical and it can be undertaken by community groups and organisations who wish to work on projects about themselves and others. For further information contact Pat Carter .